This bears a striking resemblance to our commitments in Devon to ‘have a regular cycle of measuring recovery outcomes embedded in routine practice, with is used to inform progressive practice and service improvement (Devon Recovery Standard 2) and the planned integration of these measures into ‘Recovery Coordination’ within the Devon Partnership Trust. Taking it forwards is largely addresses focused on progressing specific actions and no 79 is ‘Developing recovery-focused organisations and services’. 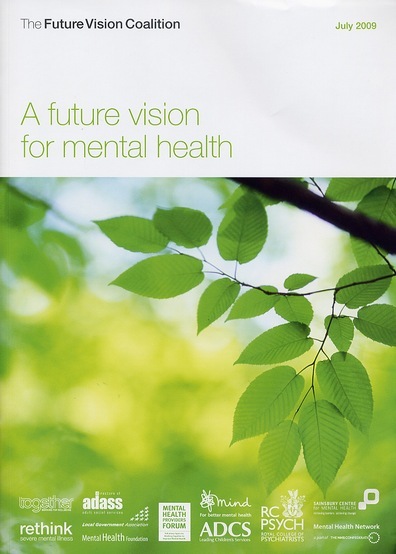 It states that there is already a plan in place combining commitment for the National Mental Health Development Unit (NMHDU), the Mental Health Network, the NHS Confederation and the Sainsbury Centre for Mental Health to conduct specific pilots of ‘recovery-focused organisational development.’ Building on the succession of Sainsbury Centre publications and aiming to, ‘demonstrate and evaluate the use of measures of quality and service-level outcomes for providers and commissioners of recovery-focused services’. Developments in Devon have already informed the planning behind these pilot studies and we hope that we may be able to practically participate in their implementation too. This is an aspiration we can agree with but clearly it will not be fulfilled just from the publication and dissemination of a document but it also states that the Department of Health will work to ‘ensure the development of recovery approaches across organisations, supported by the development of better measures for individuals and organisations’ – which is great! – So let’s contribute what we can, personally and collectively, to support all these initiatives and take whatever opportunities we can to remind them of their commitments.